Santa Clause will be escorted by your volunteer firefighters on a fire truck throughout Milford Township Fire Company “1st due” response area. 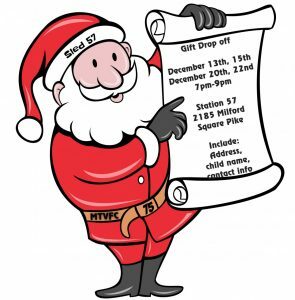 Drop off your wrapped gift at Station 57 and include the following: Child name, address, and Contact info. Please type or print info clearly.